This week I am hosting some guest bloggers. This is a guest post from Todd Samuelson. As the administrator responsible for technology in my school I had the opportunity to facilitate a Chromebook pilot project. 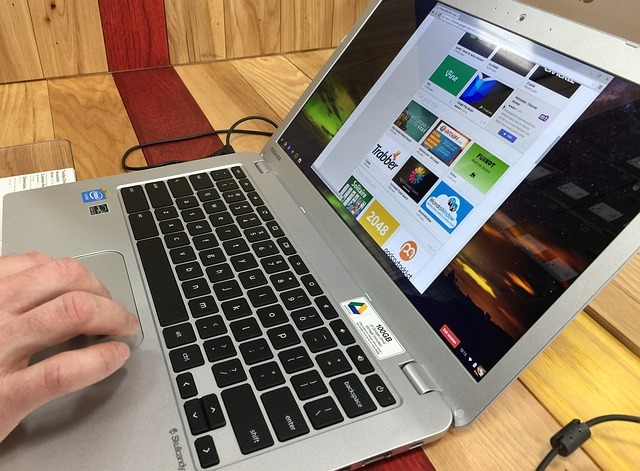 Every grade seven student was loaned a Chromebook (CB) for the school year. The goal of the pilot was to determine the effectiveness of utilizing one-to-one devices to enhance learning in the classroom and to improve technology capacity among teachers as we move towards an eventual B.Y.O.D. school. In early October nearly 200 Chromebooks were deployed and the journey began. Eight months later and the project can only be described as a success. One of the first steps in the process was to get CBs into the hands of teachers. We had an evening of professional development for teachers to receive support, but because CBs are so intuitive it did not take long for the majority of the teachers to become somewhat proficient. We created a google classroom that we used to communicate information, thoughts, concerns and tips. We sent a letter home to parents explaining the project and hosted an information night with presentations and an opportunity for questions. For the students, in the beginning, a great deal of time was spent on building capacity regarding how to care for their device. Students were given formal lessons on proper care and respect for the device being loaned to them. This paid off tremendously as students took ownership for their CB and we were fortunate to have very little damage or issues related to misuse. Knowing that a goal would be to allow students to transport a device home, our teacher-librarian, Lisa, collected resources and created an extensive “Chromebook license.” The license required that students reach certain benchmarks regarding general care, responsible use and cleaning before being allowed to take a Chromebook home. The teachers and students were amazing as they learned side by side. As much support as was requested was provided from our central office who were actively involved in the initiative. The Chromebook pilot team provided support throughout the year and organized PD time embedded into the school day. Teachers took ownership for their own learning and developed and shared lessons, strategies, struggles and challenges. As I reflect on the project I feel the biggest influence of its success has come from the lead team that was formed. This team was composed of two “lead teachers,” Jen and Michelle, the school’s teacher-librarian, Lisa, and myself. These three guided, reflected and made decisions in every school-based aspect of the initiative ensuring a process that was ultimately best for students and most effective for teachers. They spent countless hours organizing, supporting, learning, taking risks and creating. The team shared a common belief, vision and passion for integrating technology into the classroom in a meaningful way to enhance learning. By surrounding myself with people with skills and knowledge superior to mine in many areas and by encouraging and supporting these teachers to lead, it made for an extremely rewarding, transformative and powerful project. I live and work in Medicine Hat, Alberta, Canada as a school administrator in a grade seven to 12 school of just over 1200 students and approximately 65 teachers. I am a supporter of challenging the status quo, innovative thinking, creativity, positivity, taking risks, technology in the classroom and wellness.